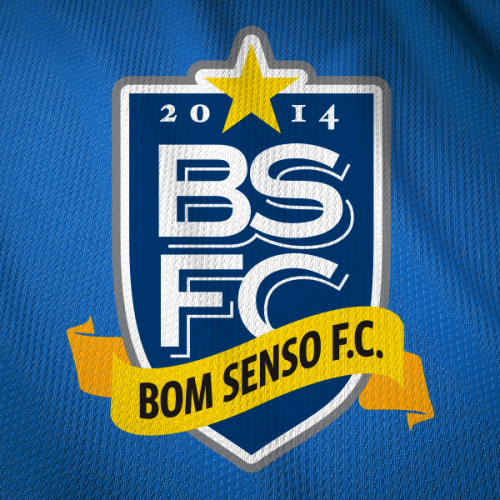 This time last year, in an article entitled “Bom Senso F.C. 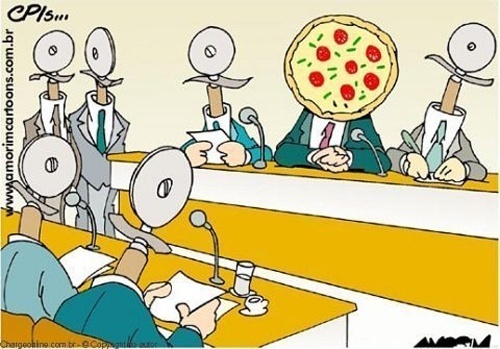 & a battle for the soul of Brazilian football”, published on Brasil Wire, I wrote about the potential for a breakaway of Brazil’s major clubs from the Jurassic power structure that controls Brazilian football, headed by national and state federations. Exactly one month after the 2014 season came to a close, the majority of Brazil’s big football clubs got together last week to begin their pre-season training. In under 20 days, these teams will play their first competitive match of the Brazilian season, one of the longest and most demanding campaigns in the sport, comprising several competitions and precious little rest. São Paulo FC, as an example, will play a bare minimum of 62 competitive matches in 2015. If they advance beyond the first round of the bloated São Paulo state championships, the Copa do Brasil and the Copa Libertadores (all of which are extremely likely), that figure would surpass 70 matches. Were they to reach the finals in all competitions (unlikely, but not impossible), they would have contested 81 games over the space of 44 weeks. This obvious overkill of football has a predictably high number of negative consequences for the game in Brazil. The most important of these is the detrimental effect this calendar has on the quality of football being played. The hectic schedule allows a minimal amount of time for squads to train together, with players spending the days between matches catching their collective breaths rather than developing tactical strategy or working on their skills. As a result, Brazilian league matches are often turgid events, littered with fouls and misplaced passes, with results usually decided by goals from set-piece situations. The spectacle is disappearing, fans are put off by the lack of quality and scandalous ticket prices, pitches are ravaged due to not having sufficient time to recover and even with the golden opportunity of having the World Cup in their back yard last year, the popularity of the Brazilian domestic game has not increased overseas. For those of us left behind, the devoted fans, regardless of how tedious the league may be, all that remains is the hope of a brighter future. Things move quickly in Brazilian football. One week away from the game and you are likely to miss a manager losing his job, a high-profile falling out, a headline transfer move and the birth of a new craque. During the off-season, this is intensified, with clubs trying to pack months’ worth of rebuilding into the space of a few weeks. Brazil’s anticlimactic state championships all but destroy the magical pre-season anticipation found in other leagues around the world, but with so many changes and question marks, there is still plenty to fill the pages of Brazilian sport pull-outs in the month of January. Over the next few weeks, I shall be posting a series of blogs looking forward to the Brazilian football in 2015, focusing on several big clubs and the questions surrounding them going into this new season, beginning with a trip to the south-eastern state of Minas Gerais. For the last two years, Cruzeiro and Atlético Mineiro, Minas’ big two from the state capital of Belo Horizonte, have ruled the roost in domestic Brazilian football. The former, with their iconic ocean blue shirts, have won the national championship two years in a row and should be the favourites to clinch a third successive title in 2015, a feat only achieved once previously, by Muricy Ramalho’s São Paulo side of 2006-2008. Cruzeiro’s secret has been in their stability, which has in turn bred consistency. For the last decade, while under the presidency of the “Perrela brothers”, the club had a reputation for being mismanaged, with woeful transfer policy and rumours of shady behind-the-scenes activities. 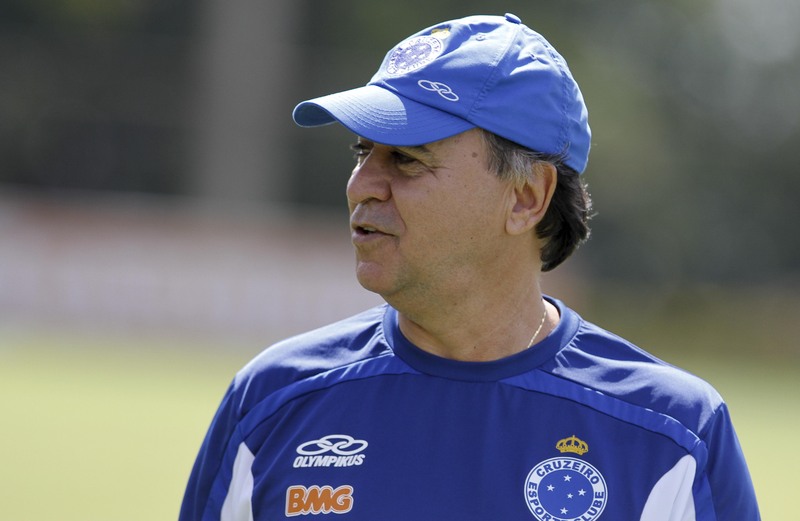 When Zezé Perrela (now a Senator for the State of Minas Gerais) left the club in 2011, he did so on the back of a disastrous season in which Cruzeiro avoided relegation by only two points. His successor, Gilvan Tavares, has managed to successfully transform Cruzeiro into one of the best run clubs in the country. As opposed to the “savage capitalism” approach adopted by the Perrelas, the transfer policy of Tavares’ Cruzeiro is far more intelligent. There is no annual rush to cash in on every remotely talented footballer in the squad as would happen under the previous regime, instead the club look to maintain the spine of their team year on year, only selling when the time (and price) is judged to be right. Another key factor to their recent success has been coach Marcelo Oliveira. In his time at Cruzeiro he has been able to form an effective tactical system, but far more important has been his ability to manage his squad. In recent years, Cruzeiro have had one of the deepest rosters in Brazilian football, with several talented options available in key positions, as well as promising youngsters pushing the senior players for places. Generally, the more the merrier when it comes to personnel in Brazil, especially considering the gruelling calendar, but this pressure cooker of egos so often ends up exploding all over the manager’s face. Where Oliveira has succeeded is in keeping his entire squad happy, rotating and substituting at the right time, making sure everyone feels valued. In these last few victorious seasons, Cruzeiro have always had some form of rebuilding to do, but thanks to being able to hold on to most of their first team year on year, it has been minimal. This off-season, however, could be the exception. Marcelo Moreno, their long-haired Bolivian goal-getter, has left Cruzeiro after a season-long loan, returning to parent club Grêmio. In an attempt to replace him, the club has moved for Santos’ Leandro Damião, generally regarded as one of the biggest flops in Brazilian football in 2015. There is no doubt that Cruzeiro is a better fit for Damião than Santos – the champions focus a lot of their attacks on high balls into the penalty area, where the 17-times capped striker excels – but Cruzeiro’s system requires their No 9 to be a lot more than just an aerial threat. The reason Marcelo Moreno was so successful at Cruzeiro was his off-the-ball movement, creating space for the attacking midfield trio to infiltrate the area and score goals. Leandro Damião is far more cumbersome than the Bolivian, and may struggle to fulfil the role asked of him. Elsewhere, last year’s star player Ricardo Goulart seems set to sign for Chinese side Guangzhou Evergrande, reliable left-back Egídio is on his way to Ukraine to play for Dnipro, while talented midfielder Lucas Silva is likely to join Real Madrid at some point during Europe’s winter transfer window. Cruzeiro have recruited Chilean midfielder Felipe Seymour to fill Silva’s shoes, and although it will be interesting to see how he gets on in Brazil, it certainly feels like the Foxes will go into 2015 with a considerably weaker side than in previous years. While Cruzeiro have been the gold standard in consistency, the best side over the course of a 38-game season, their city rivals Atlético Mineiro have proved themselves to be the knockout specialists. When the stakes are high and the chips are down, there are few teams capable of getting past Atlético, including Cruzeiro. After going through a transformation not too dissimilar to Cruzeiro’s in 2011 (albeit with the same president, the outspoken Alexandre Kalil), Atlético managed to build a team that dazzled spectators, led by attacking coach Cuca and his number 10: Ronaldinho Gaúcho. In a campaign that had several last-minute winners, incredulous comebacks and saved penalties, Atlético were crowned the best in South America after winning the 2013 Copa Libertadores, the first time the club had lifted the continent’s grand prize. Even with the odds stacked against them, Atlético always pulled through, playing an extremely fast tempo brand of football which constantly forced their opponents into making mistakes and became known as estilo galo doido, or “crazy rooster style”, a play on the club’s nickname, Galo. Earlier last year, however, many thought the Galo bubble had burst. They had embarrassed themselves at the 2013 Club World Cup, not reaching the anticipated final against Bayern Munich and losing to Raja Casablanca in the semi-finals; coach Cuca had gone to China; nippy winger Bernard was sold to Shakhtar Donetsk; Ronaldinho was playing poorly and on his way out and new coach Levir Culpi seemed unable to control his squad. The 2014 Copa do Brasil dispelled those doubts and marked the return of the galo doido. Curly-haired Luan took Bernard’s old role on the flank, Argentine midfielder Jesús Dátolo, who had gotten off to a slow start to his Atlético career the previous year, became a critical part of the team, scoring seven goals and laying on 20 assists in all competitions, while Diego Tardelli seemed to be playing in five positions at once in attack, capping a superb return to form with a call-up to the Brazilian national team. The dramatic turnarounds returned, and Atlético marched on to the Copa do Brasil title, playing their rivals Cruzeiro off the park in the two-legged final. This January the doubts have returned, all revolving around one issue: Diego Tardelli, will he stay, or will he go? The forward seems set on securing a transfer to Chinese football, the announcement of which could happen any day now. If he is to leave, Atlético will soon reach the harsh conclusion that he is irreplaceable. That is not to say that Galo are destined to fall short of expectations without Tardelli, however his departure would force a style change at the club, as there is no-one available on the market that would be capable of performing his function. Striker Lucas Pratto has arrived from Argentinian club Vélez Sarsfield, where he has been elected player of the year for the past two seasons, but he offers the team a different threat, more physical and able to lead the line, with a touch of flair and creativity thrown in. If Tardelli stays, they could form a very formidable partnership; if he leaves, Culpi’s reshuffle will no doubt be designed around his new Argentinian striker. Next time, Palmeiras and São Paulo: a dispute that goes back more than 70 years resurfaces – football loses.